Who remembers this one from childhood? 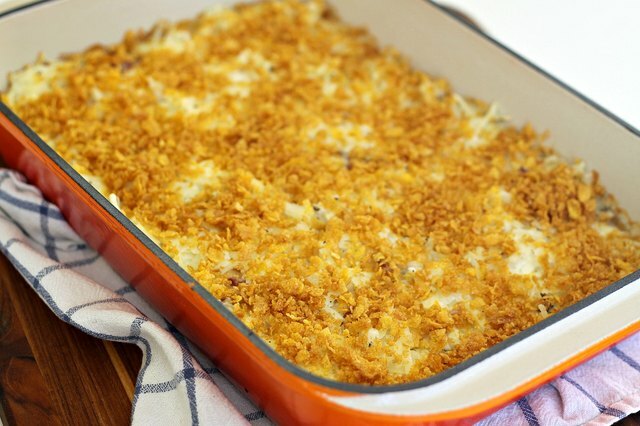 A kid-friendly take on Shepard's Pie, tater tot casserole is a simple one-pot dish that feeds a crowd and can even be made (and frozen) in advance. For this updated version, we've included a DIY substitute for the can of Cream of Mushroom soup that most recipes call for. If you want to stick with a can of soup, just skip that step. 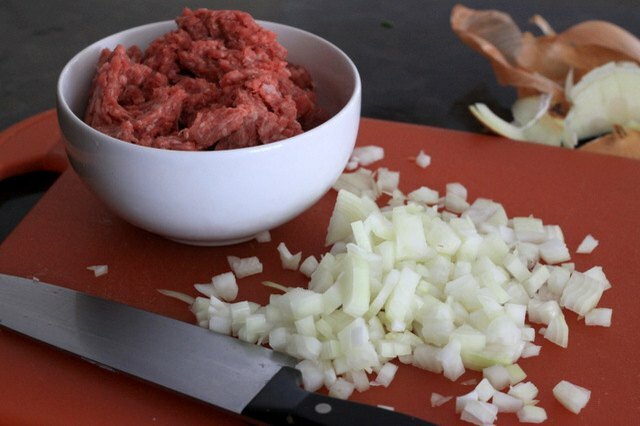 Add a splash of Worcestershire sauce here if you like the flavor. 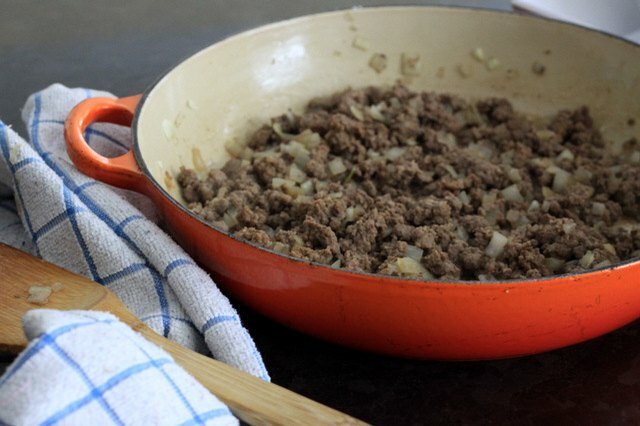 If you have a large oven-safe skillet, use it to cook the ground beef and onion mixture in. 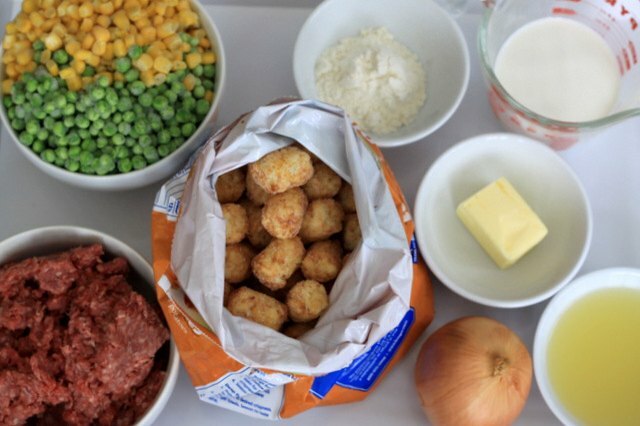 Then pile on the remaining ingredients and pop the whole thing into the oven. 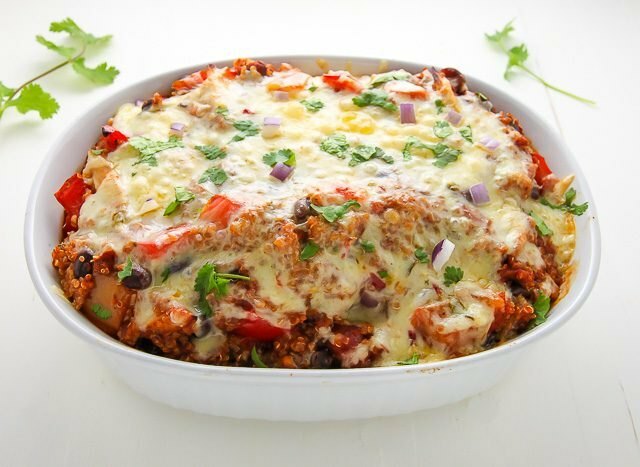 You'll dirty fewer dishes than you would by using a separate casserole dish for the baking step. 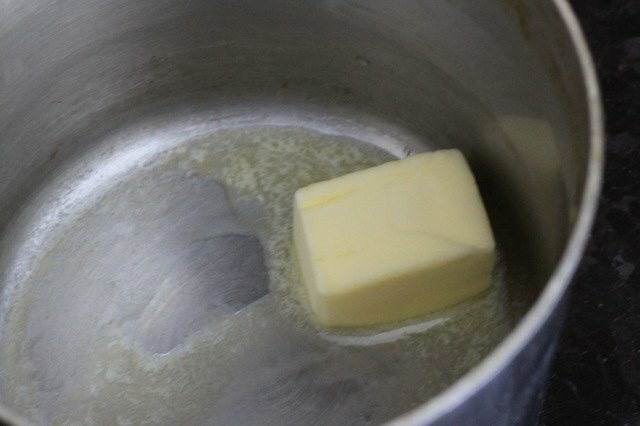 Place butter in a medium sauce pan over medium heat until nearly melted. Add flour and cook for 2 minutes. Keep stirring, even as the mixture bubbles. Slowly pour in the half & half and chicken broth, whisking vigorously as you go. 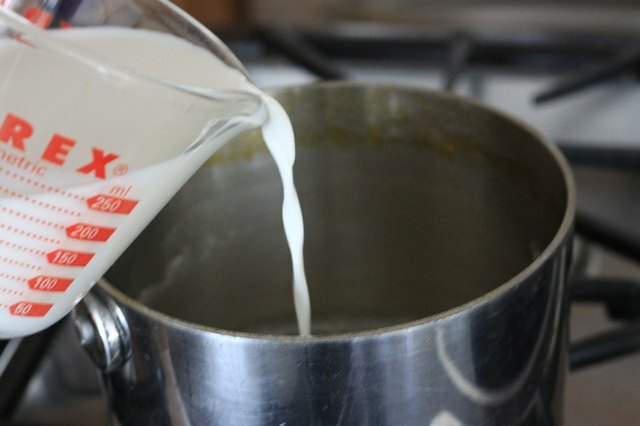 Stir until the mixture is completely smooth. Add the garlic powder and remove from heat. 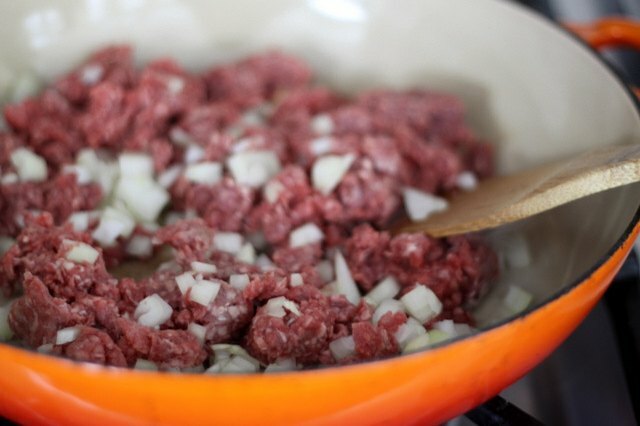 If you have a large skillet, layer the peas and corn right on top of the ground beef mixture. 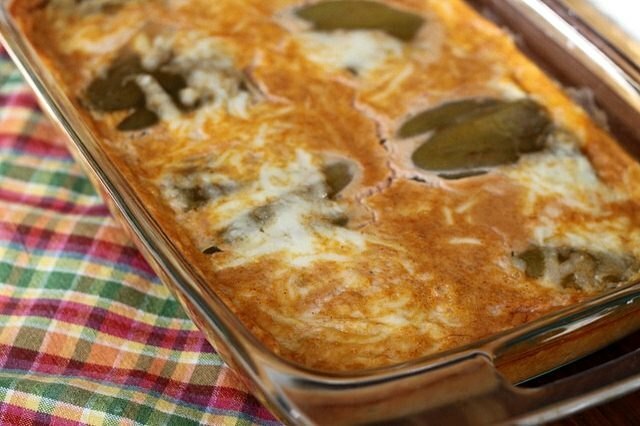 Otherwise, transfer the meat to a 9x13 casserole dish and add the layer of vegetables. 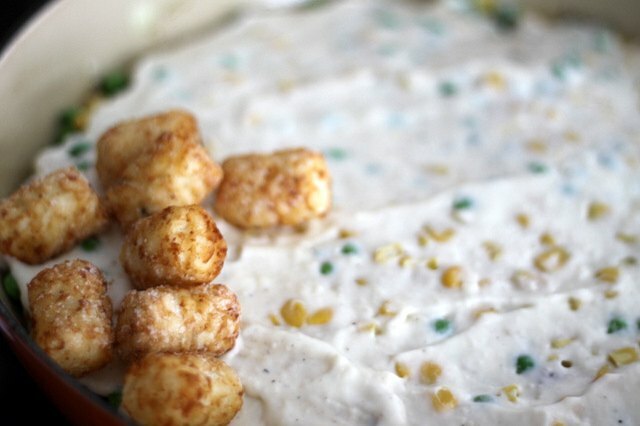 Then add the layer of cream sauce, or soup, and top with tater tots. 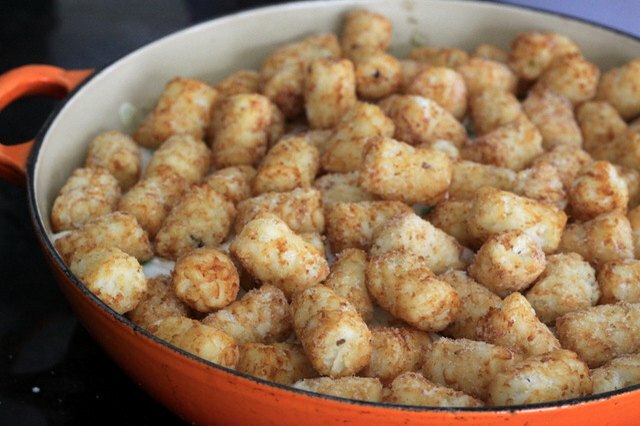 Cover completely with the tater tots before sprinkling with a pinch of salt and pepper. 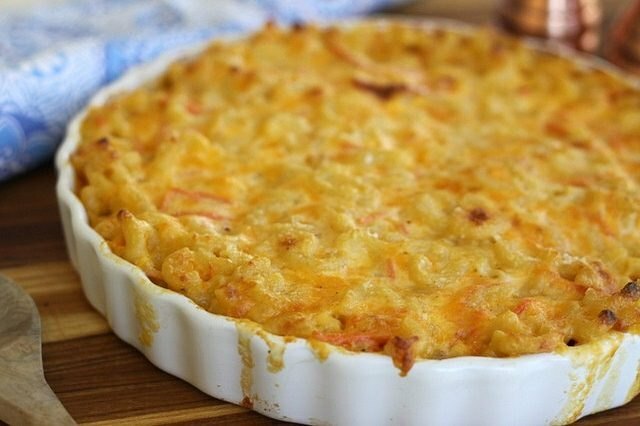 Put the prepped casserole into the oven, baking at 425 degrees Farhenheit for about 30 minutes. 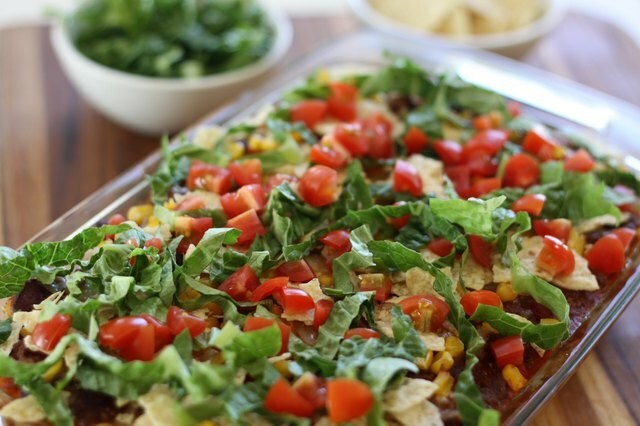 For an extra crispy top layer, use the broiler for the last 1 to 2 minutes of cooking time.